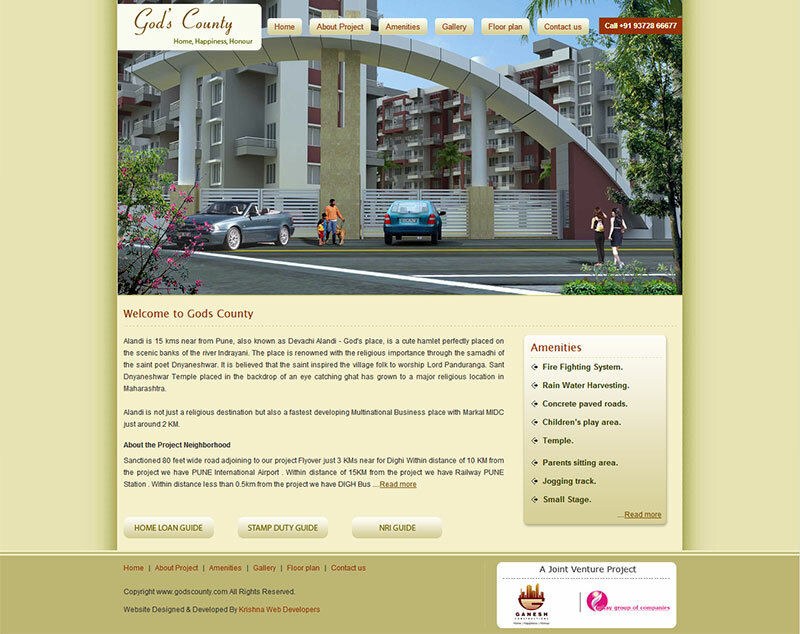 Gods County by Ganesh Constructions Location: Alandi, Pune Sanctioned 80 feet wide road adjoining to project Flyover just 3 KMs near for Dighi Within distance of 10 KM from the project there is PUNE International Airport . Within distance of 15KM from the project we have Railway PUNE Station . Within distance less than 0.5km from the project there is DIGH Bus Stand.